Over the past 2 years, Halloween has really caught on in Australia and this weekend, I've been invited to not one but two Halloween parties! I've never been to a halloween party before and now wished I paid more attention to the stage makeup demonstrations at IMATS to pick up some more tips and tricks on how to make look very (un)dead. I've bought my fake blood, fangs, cape and am ready for some ghoulish fun. I did a very quick practice run of the makeup late last night to check the overall look. I need to tweak the colours a bit more but I think I'm almost there. 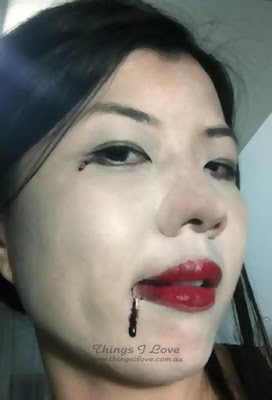 Here's a sneak peek of the unfinished look (no fangs or fully defined eye makeup yet) complete with some gory blood for good measure. If you are interested in a look breakdown, just let me know in the comments and I'll update the post later with my completed look and the makeup used. I hope everyone is having a bewitching weekend and have some tricking and treating fun! I love handcreams, really, I’m actually quite obsessed with them. They help soothe my cuticles, prevent those shaggy bits of skin from forming and peeling on the side of nail and soften the rough edges around my index and thumbs since I never wear gloves for any chores. So I have countless numbers of them lying around the various room of the house, 2 in the office at work, another in the car, and yet another one in the handbag! Unfortunately none of them have sun protection so I always have to slather sunscreen on top over the back of my hands whenever I’m out in the sun. 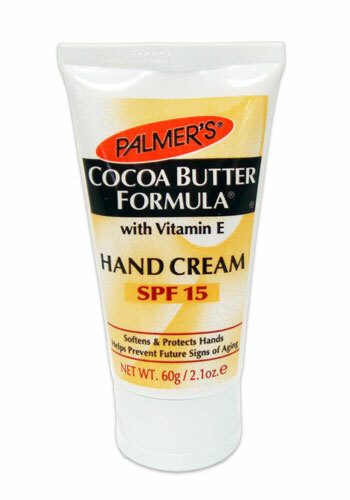 So when the clever guys at Palmer's came out with this great wonder cream to the mass market – I was singing hallelujah. Deeply nourishes skin with coconut oil and cocoa butter, vitamin E, this is a great daily hand cream. . Best of all the inbuilt broad spectrum sunscreen means one less follow-up cream I have to layer on my skin and sometimes, I’ll slather this all over my arm as well to make sure I get the moisturisation and sun protection (SPF 15 blocks out 96% of the sun's ray). Perfectly sized for the handbag, it's a treasure in the car where your hands are likely to be exposed for long periods whilst driving on a sunny day. If you love the scent of chocolate then you’ll love this hand cream. I’m not big on my gourmand scents but I don’t mind this chocolatey one because it’s that good. 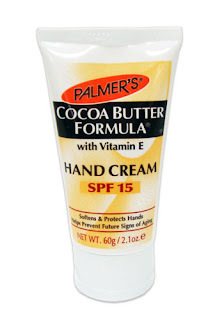 Big brownie points to Palmer’s for being the first to come out to the mass market with and SPF hand cream. It’s a very affordable and works wonders to soothe, protect and softens skin, and best of all, it has the highly coveted UVA/UVB protection so I don’t have to slather another layer of cream on top and end up a greasy mess. RRP A$4.20 at supermarkets, Priceline, Kmart, Big W and selected pharmacies. When Monsieur Kynaston from Illamasqua announced that you would be making a debut appearance on our counters this month, I was utterly excited. He has never failed to deliver for me exquisite colours and beautiful textures but he has never indulged my senses before. So I waited with breathless anticipation for your arrival while I sneaked around looking to find out more about you. I saw your profile online recently and found out that you’re the creation of Azzi Glasser and already thought you were pretty special when I saw you had little cute silver snail trailing up the tilted side of that broody and smokey looking glass of yours. With your name, I imagined you to have quite a radical personality – one that would either assault me with your heady beauty or shock me with your intense display of your alter ego. But you did neither. Instead you just bewitched me. At first I couldn't understand what is it about you that had such an effect on me because you are such a rare and complex beauty. It was only afterwards that I realise it was your warmth and tenderness that had me intoxicated in your headiness. During our first encounter, you displayed your seductive powers through a sweet heady blend of dark davana but hinted of your darker side with and deadly nightshade (belladonna) and opium flowers and exotic frankincense. After that, your complex side with the datura flower and mysterious Queen of the Night Blossom surfaces. 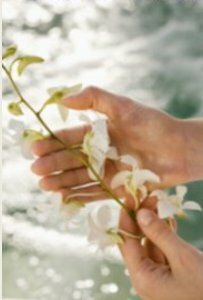 You then cast this aside after half an hour in exchange for a softer and slower tempo by showing your true floral heart interwined with woody oud and light powdery myrrh. I am now addicted to you, but your visits are always fleeting. You give me great pleasure for 2 hours and leave me with a faint memory of lingering powdery sweetness and have me hungering for more. Please visit me often any time you want for you are delectable day or night. I am truly suffering terrible withdrawal symptoms whenever you're not around. 75ml RRP A$149. Get your own intoxicating fix of Freak now at Illamasqua counters in selected Myer stores in Melbourne, Brisbane, Sydney. A sampler of this featured product was provided for consideration. Today is about three cheap and cheerful products I've recently tried and added to my cleansing routine. Creamy and gel like in texture, this cleanser is extra gentle on skin as it's been formulated for dry and sensitive skin types. Comes with the signature Nivea cream scent and has almond oil and calendula extract which moisturises and soothes irritations. Has tiny pink spheres of moisture beads that burst on pressure to deliver added moisture so there is never any dry tight feeling after washing. This gentle cleanser washes more like a creamy cleansing milk and doesn't lather up at all which I'm preferring these days as I find them not as drying on skin. I use this in mornings and after removing makeup at night and it leaves skin soft, smooth, hydrated and refreshed afterwards. This is a gel textured cleanser with blue micro-bead full of pro-vitamin B5 that bursts upon contact to moisturise skin and whilst the crystalline particles effectively exfoliate and help dislodge dead cells on the top layer of skin. With a pleasant light refreshing fragrance, it actually reminds me of the Hazaline snow scent that I love so much. Not too harsh, the scrubbing particles are very fine so I didn't find this irritated my skin when its rubbed in gentle circular motions or experience any dryness after using the product. In fact, my skin always feel hydrated afterwards. Recommended for use 2-3 times a week, I actually use this in mornings every second day to help keep any dry patches and flakey skin under control. This gel cleanser doesn't lather up so is great for anyone who doesn't like foaming type cleansers. Contains lotus extract, vitamin B5 and E to hydrate, it gently cleanses skin of dirt, oil, grime and light makeup without stripping moisture levels or drying it up and giving that tight skin feeling. On its own, it doesn't clean off heavy makeup effectivly enough without a second wash so I would advise getting into the good habit of removing makeup first as that's the primary job of a makeup remover, not a cleanser. Again with the signature Nivea scent, this what I call a good a basic cleanser that is suitable for daily use on normal and oily skin types. I like this cleanser but I do find it a bit plain and not that refreshing as the product claims so would like to see it jazzed up with a special scent for a more invigorating feel. I love the packaging of these affordable 3 cleansers as it makes them so easy to use. My favourite would have to be cleansing cream wash followed by the exfoliating scrub. It leaves my skin incredibly soft and smooth and I just love squishing those micro-beads during a wash! Nivea cleansers are available in supermarkets, Priceline, Kmart, Target, Big W and selected pharmacies. These featured products were provided for consideration during the ABBW. 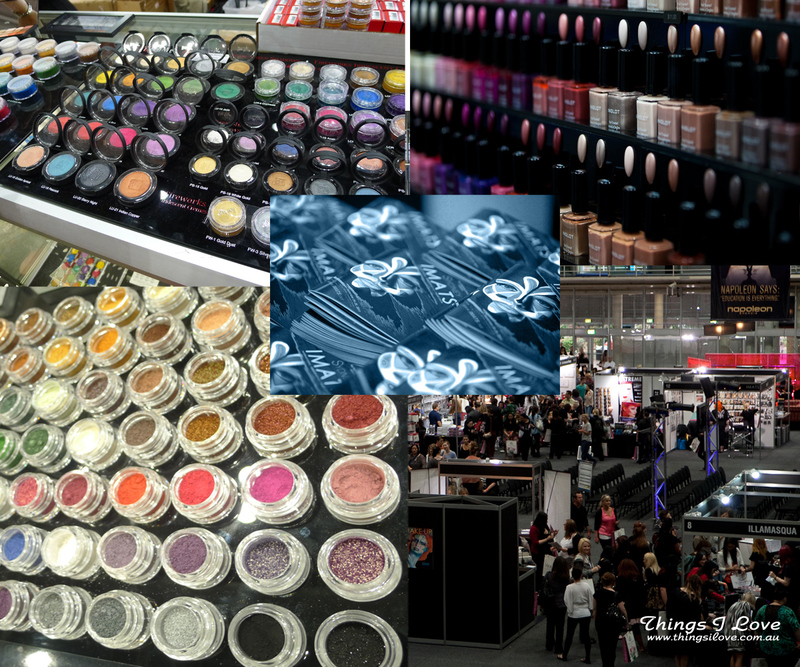 Today there are a growing number of beauty bloggers bursting in the web sphere, each with their own voice and thoughts. Despite all this, they are all quite fragmented, spread across the vast country and working independently - in their own time and using their own resources with some bloggers working with PR whilst others do not. At the same time, marketers and brands are unsure of how to approach since there are no established protocols and it’s a relatively new frontier for many in the industry. Jacie Galpin from You’ve Got Nails & Kimberely Nissen from The Plastic Diaries are no stranger to the industry, having their own successful and effective online blog platforms to dish out their views on the latest array of nail shades, hair products and skin lotions and creams. 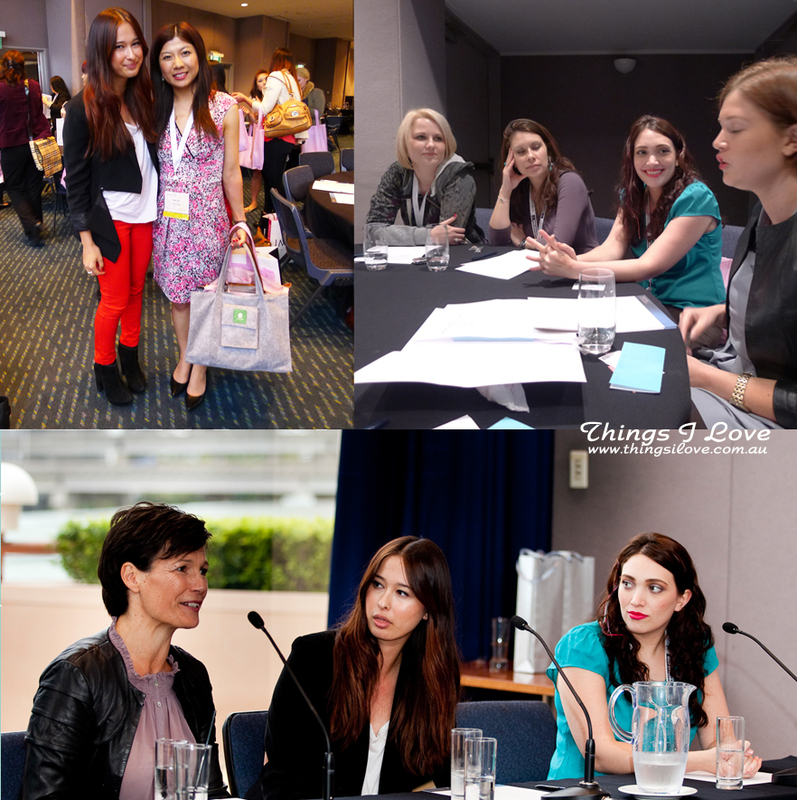 Having established relations in the traditional Public Relations and marketing industry, they decided to tap into their network and expertise to create an avenue to bring the largely dispersed beauty blogging community together and provide the link for writer and PR to get to meet and learn more about each other. The result was the country’s first national beauty blogger event. Endearing known as ABBW, the Australian Beauty Bloggers' Weekend held on 24th-25th September was the culmination of months of planning and precision organisation that spanned across sponsors from various PR companies and brand representatives as well as media personnel in the digital media space. 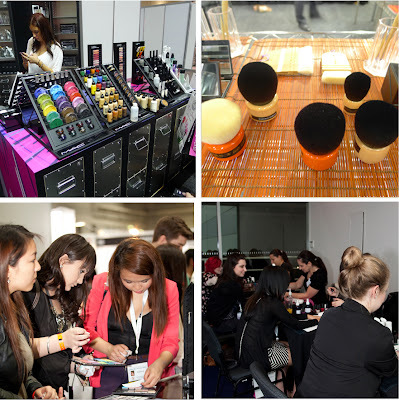 It gave 85 beauty bloggers across the country a money can't buy opportunity (it was a registration-only free event) to network and learn first-hand more about this fast evolving industry. The Official events started on Saturday morning with registration at the Novetel (there was also pre-registration the evening before) and saw each registrant gifted with goodie bags from generous majors sponsors Dove, Australis, Garnier and a host of iconic brands to welcome us onboard. 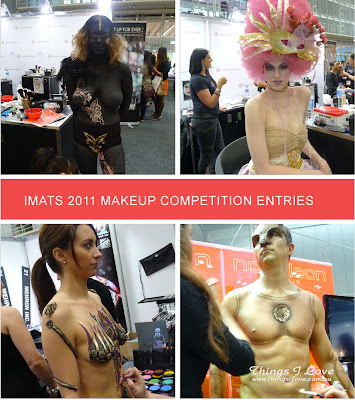 To kick everything off, all beauty bloggers were provided VIP passes to the International Makeup Artist Trade Show (IMATS) and allowed to roam free for four hours where they were treated to amazing demonstrations of theatrical artistic talents, keynote speakers from the makeup artistry world including Nepolean Perdis and Elessa Vavon of Pursebuzz, glorious displays of makeup from Inglot, Makeup Forever, MAC, SLA, Crown and Royal Laneige brushes. You’d think that the goodie bags would have already satiated all my beauty needs, but in the face of so many glorious colours and beauty products, I lost my self restraint and proceeded to burn a great hole in my bank balance with purchases of the highly acclaimed Hakuhodo brushes, Inglot freedom palette system, and various other makeup items. In following the VIP theme, there was a Royal & Langnicke rest station set up especially for the beauty bloggers where light refreshments were served, manicures offered and makeup refreshed. There was even an eco-friendly gift to see us off to the next scheduled event. The afternoon procession could only be described as invaluably enlightening and insightful with a panel consisting of InStyle Beauty Editor Eleanor Pendleton, Beauty Directory’s Founder Jackie Maxted, and our very own Kimberley Nisssen of The Plastic Diaries sharing with us the etiquettes and expectations of working with PR. 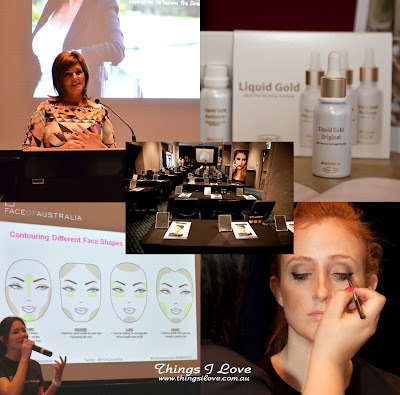 We were then invited to share with the Beauty Directory staff our own expectations and needs when working with PR and brands. After learning all this, we were able to put our networking skills and newly acquired knowledge to practice with brands representatives from the Purist Company, Trishave and nature's botox-alternative Lapurete. 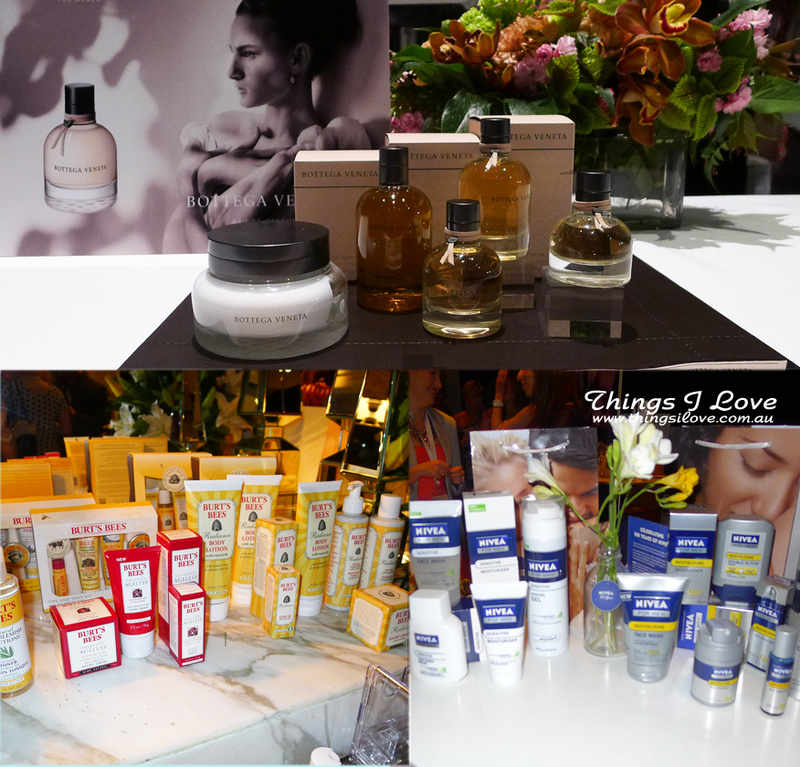 Here we learnt more about each brands and were then able to sample some of their core products. Things then kicked up another notched in the evening at Swanky Establishment hotel where we were treated with a showcase of the latest offerings from Orly GelFX, Coty fragrances including Balenciagia L’Essence, CK Euphoria, CK One Shock, Bottega Veneta's maiden namesake fragrance as well as old and new favourites from Nivea, Burts Bees, Remington and professional hair care Sebastian. 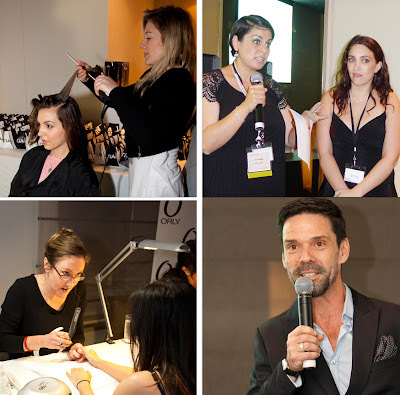 It was also an opportunity for me to sneak in quick one-on-one chats with Debbie Sheikman from Beauty Heaven and the various brands’ expert team members who served up some great beauty tips and advice. The product showcase was then followed by a scrumptious three-course dinner hosted by Ian Thomas, director of Maxted-Thomas PR, which really was the royal icing on the cake before the long day came to an official close. Sunday morning saw us treated with a light breakfast before a presentation from Alpha-H's Michelle Doherty where we learnt about the wonders of glycolic acid and how a three month skin perfecting system will deliver smoothed, refined skin. Things got interactive after that with a hands on master class hosted by Face of Australia’s Tina Henry where we tried to perfect the art of contouring. The final event in the afternoon was possibly the most polarising one with ABBW trending tweets as Bahar Etminan from Rescu walked us through her journey on building up the Rescu brand and how one could go about monetising their site. Despite the differing views on whether bloggers should be blogging for money or love, all bloggers would agree that today, we are gaining more authority in the online space and our influences on consumer decision making is greater than ever before. When I walked away from my 2-day whirlwind event and headed towards the airport, my head was light, my heart inspired and my luggage much heavier. There were key learnings I took home when I boarded the plane back to Melbourne that I think is worth sharing. Bloggers and PRs alike are still learning about each other and how to work better together. Unlike traditional editorial, this is uncharted territory so the rules are being invented along the journey. There is no other golden opportunity like now for bloggers to have a voice in the industry as the beauty blogging market in the country flourishes and set to ride the wave of authority. Professionalism is important. It doesn't matter whether your blog is a business or a hobby, manners and respect along with common sense will take you far. We all have the responsibility to maintain the integrity of beauty blogging. Invest in yourself as a brand and sell everything about it but don’t sell out. 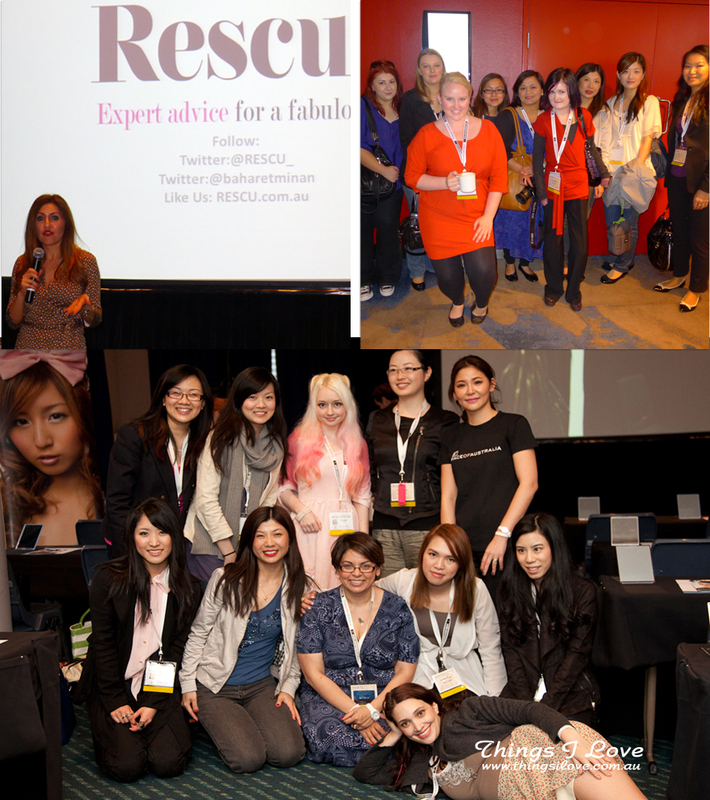 The meeting of so many like-minded individuals who are as passionate about beauty is not only inspiring but also very humbling. There is so much to learn from each other and the friendship built will only create a better blogging community. Nothing beats a good old fashion meet and greet. Being able to put faces to names for fellow blogger who I've known over the past year and PRs who I've only previously had online interactions with is like finding long lost friends. 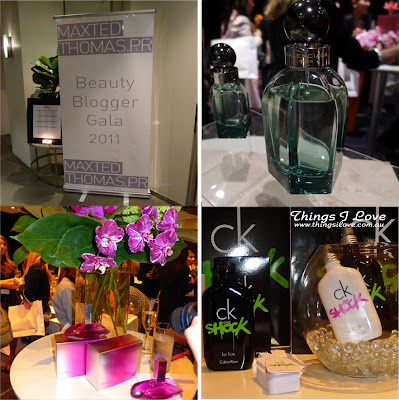 Don’t underestimate the generosity of sponsors when attending a beauty blogging event. Make sure there are no less than 20kg of checked in luggage if you are an interstate travellers as I found out the hard way but luckily I managed to dodge a 4 kg over-limit fine. With such a successful inaugural event, I have no doubt that next year's ABBW will be even more amazing. My heartfelt thanks for the two extraordinary ladies for bringing us together for the weekend. We beauty bloggers now have an annual national event to look forward to! This post contains photos marked * in collages that were taken by the official photographer for the ABBW event Liz Giacco. These photos are not to be reproduced, republished or reused without inclusion of this credit. 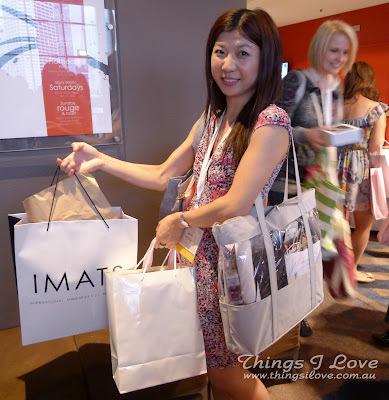 Images remain the property of The Australian Beauty Bloggers Weekend. This week’s giveaway is all about you and your skin. 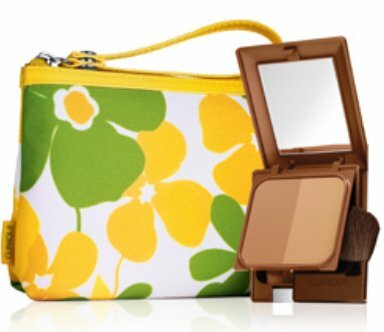 I’m a big advocate for finding the right product to nourish and pamper your skin because after all, it is the canvas for which your makeup goes on and it’s not in the best condition, not even the most expert techniques and professional cosmetics will bring out the best of it if it’s not looked after on a daily basis. So what better way than to give my readers a chance to try one of the skincare brands that I’ve been enjoying over the past month. Okoii, the natural handmade skincare brand which I showcased last week has kindly agreed to sponsor this latest giveaway. Okoii produces natural skincare products inspired from the orient using ingredients like green tea, rice bran, camellia oil and all is freshly made so you know only the finest product at best potency is used for your skin. As unique as Okoii is, so are the prizes. There will be two winners. The winners will each be able to choose their own prize from the any of Okoii’s skincare offering so that it can be tailored to their skin conditions. That means you can try the hydrating camellia and rose floral cream if you have dry sensitive skin or an oil controlling green tea deep cleansing face masque or if you can’t decide, you can choose the starter set for sample sizes of products for you to try the Okoii range out. Plus the winners will also receive a deluxe sample size of the rice bran facial soap, one of my favourite facial cleansing products out there. 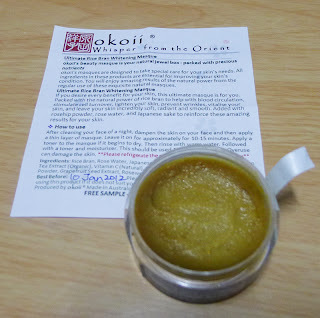 Follow Okoii Beauty on twitter (@okoii_nsc) and tweet "I’m entering @lilpil99’s competition for fresh handmade skincare from @okoii_nsc"
Be a follower of this blog Things I Love (TIL) via Google Friend Connect. + 1 entry. Subscribe to this blog (TIL) via email. +1 entry. 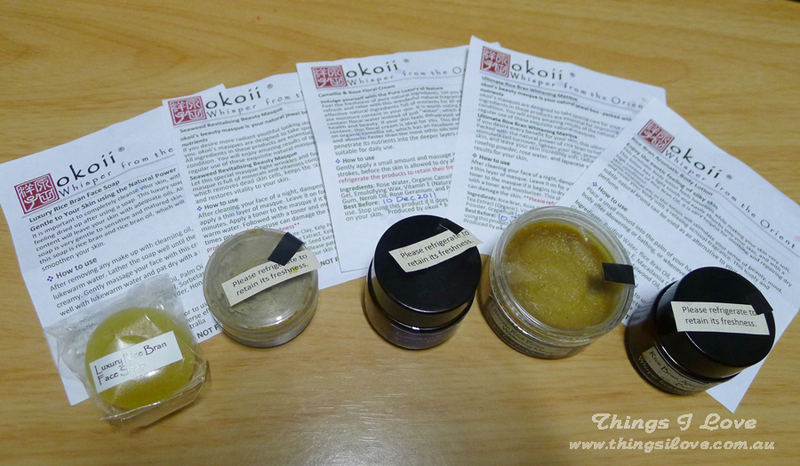 Comment on this post to tell me what you what product you would love to try most from Okoii's skincare range. +1 entry. The giveaway will run until Friday 28th October 23:59 AEST and is open only to Australian residents (sorry international readers, next one will include you). There is a maximum of 4 entries per person. 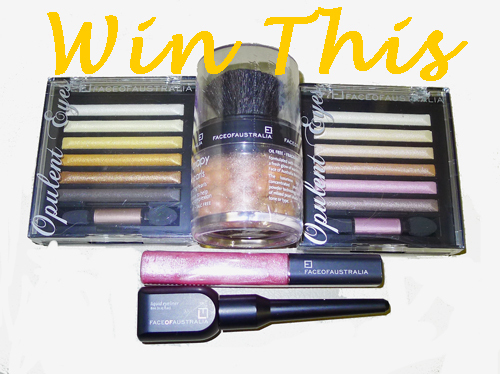 Failure to follow instructions will invalidate the entry and not be counted towards the giveaway. Two winners will be selected via a random number generator and their twitter/GFC user names announced on this blog by 31st October. Eye shadows always crease on me no matter what I do, even with some of the world’s best primers like Urban Decay primer potion or Too faced shadow insurance (it just delays the creasing by 5-6 hrs). So to keep eye makeup looking fresh, I always have to touch up during the day and wish it could be done with more ease without having to bring along brushes and applicators to apply the shadows. The clever guys over at product development from a couple of brands must have heard me moaning one too many time and have developed innovative eye products that are easy to use and simplify touch ups. 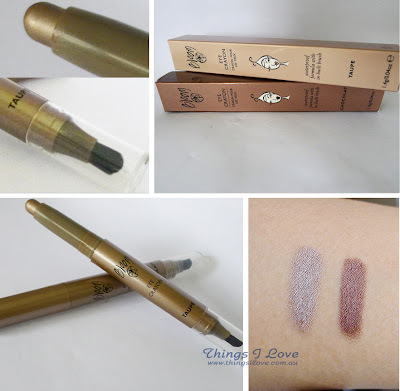 Bloom’s latest from international makeup artist April Greeves' Belle de Jour collection is the eye crayon designed to create classic easy eye looks and make touch ups on the go a cinch. 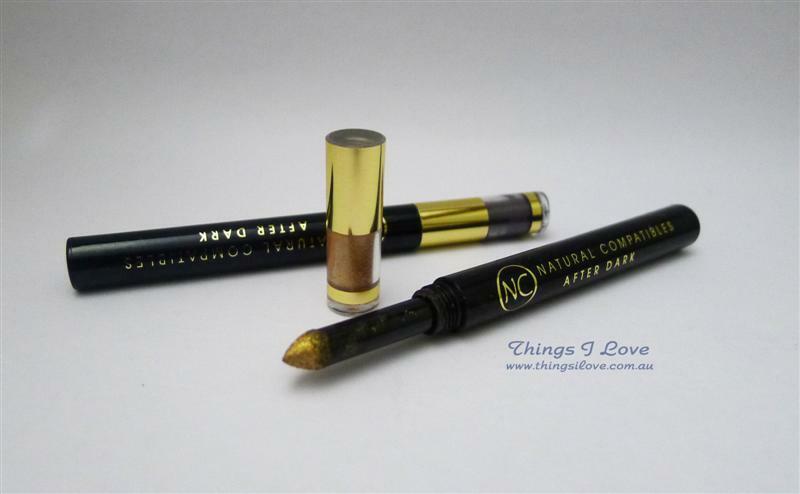 This chunky style eye crayon pen that can be twisted up (no need for sharpening!) for use. The other end of the of the pen houses a brush to allow you to blend the product after drawing it onto eyes. The formula is silky and the finish pearlescent. Pigment rich and glides on as smooth as butter without any tug. Although meant to be waterproof, they were good on my eyes for less than 3 hours before creasing, so it doesn’t seem to weather my unprimed oily lids well enough. To be fair to the product, I have oily and hooded lids and nothing really survives with without using a primer and base. 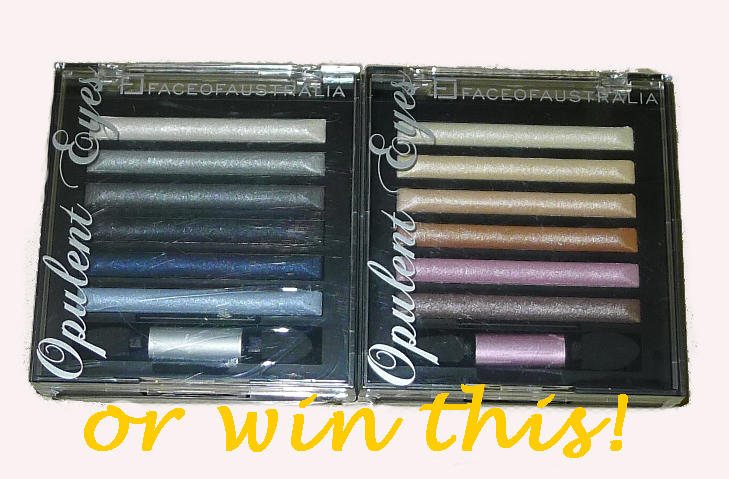 I also like using these eye crayons as an eye shadow base for which powder shadows and pigment are layered on top for extra intensity and colour. Bloom is available at Myer, David Jones, Bloom's flagship store on Chapel St, or online. 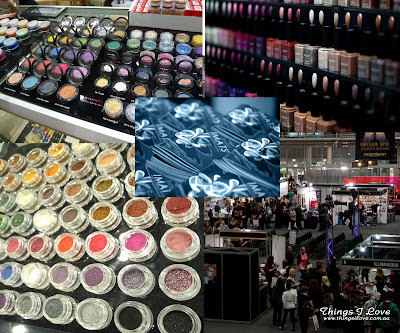 Natural Compatibles, a local professional & salon-based mineral-enriched makeup brand have come up with a novel eye shadow product called applishades. 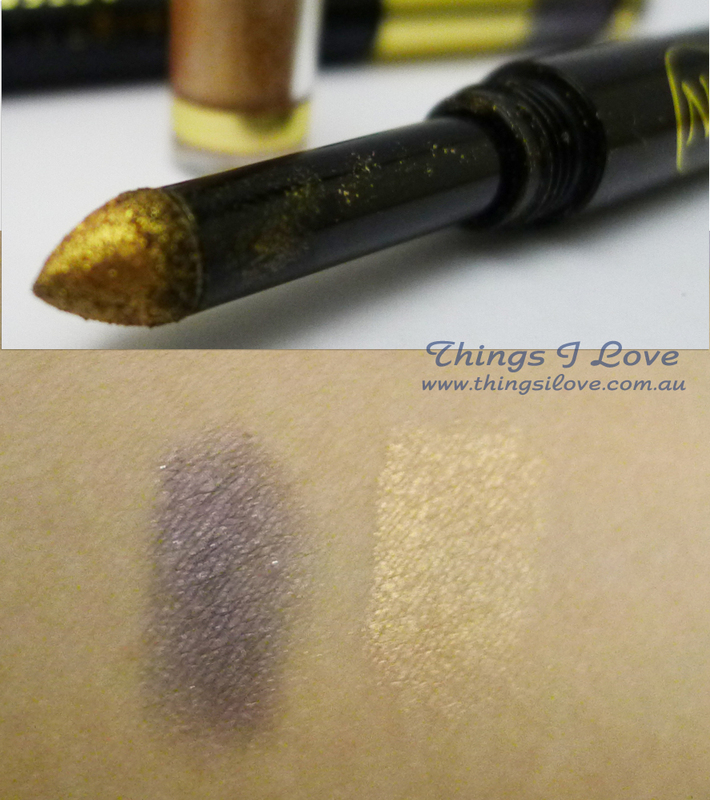 These are pressed pigments that adds shimmer and shine to liven and dramatise the eyes in a pen-style applicator. There is no mess as the product is housed in the cap of the spring loaded sponge tip pen-applicator . It makes it easy to use as the applicator will always be loaded with pigment. The colours are rich, wearable and smooth to apply with a silky satin finish with zero fallout which is amazing for a pigment. A breeze to blend with the sponge applicator tip, you can easily achieve the perfect smokey eye looks and is great as a soft liner on the bottom lids for the doe-eye look. 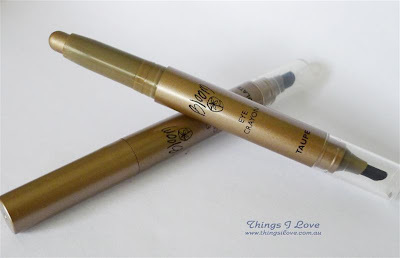 These stayed on my eyes for 2 hours before fading in intensity so would benefit from an eye primer and this is where the nifty applicator comes in the save the day (or night) with a quick touch up to refresh the colour. Even better is that you can buy refill caps when your pigments run out to save on costs and the environment. Available in 10 shades. RRP A$26. Natural Compatibles is available at selected salons, and online. But today is Friday so off went the pale coloured nails and on comes the vibrant colours. Let me show them to you. Sweet peacock is from Orly's latest collection - Birds of a Feather containing shades that depict the pretty irridescent colours of bird feathers. Sweet peacock is a royal blue with a metallic shimmer finish. It's a gorgoeous vibrant shade and gives nail plenty of dimension. The shimmery finish does indeed remind me of the irridescent blue in the eyes of the peacock feathers and I love it paired with a pale blue shirt to highlight the vibrant colour. The Shimmer finish lacquer is easy to apply and I found thicker layers gave less streaky finishes from uneven layerig of the shimmers. You really you can get away with one coat for an opaque finish if it was applied thicker than normal but if you were going for a second coat, make sure the first is completely dry as it's easy to disturb the first layer of this shimmer formula and result in an uneven finish. Orly products can be hard to come by as it's only stocked in selected salons but thankfully they have an online shopfront so everyone can get a hold of their favourite Orly product at their convenience. But huddle closely around your screens my pretties, as I've got something big to share with you today. Being one of the sponsors at the recent ABBW event, Orly has provided the beauty bloggers in attendance with an exclusive discount code for a massive 50% off RRP of ALL products at Orly Beauty online. After making some inquireis, I had the blessings of the folks at Orly to share with you this promotional code so all you readers can join in the deal. Just quote "ABBW" at checkout for this generous discount. I can tell you I'll be picking up the regular version of Star Spangled, Fowl Play, Haute Red, Mirror Mirror lacquers and their Peace rich renewal hand creme which I love so much. The Orly discount code is valid till 31st October 2011 so don't miss out at this incredible opportunity! Orly nail lacquers 18ml RRP A$18.95 at selected salons, or online at Orly Beauty. I'm a sucker for all things bling and that doesn't preclude lip products. 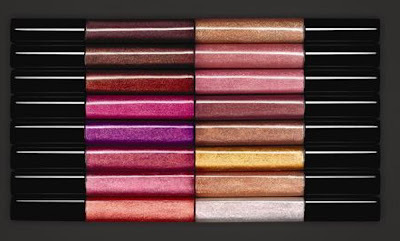 So when I recently passed by my local Bobbi Brown counter, I couldn't help but notice the newly released high shimmer lip glosses they had on display. Just look at the promotional image for these lip glosses below. 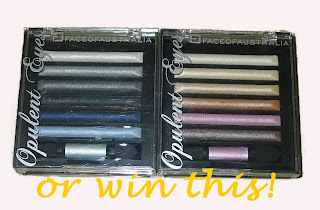 How could one not fall in love with such gorgeous shimmery colours? Pink Sequin (bottom left in above photo) caught my eyes and within one swipe of it on my skin, I was hooked like a crack addict. In the end, I just couldn't walk away from the counter without doing damage to my credit card by bagging one home (and another blush in Apricot for good measure as well). To me, Pink Sequin is a peachy pink shade packed full of of fine pink glitter particles and golden sheen. With a tapered sponged applicator and highly emoillient formula packed with vitamin C & E, there is no stickiness with this highly conditioning gloss that gives lips a slight tingling sensation upon initial application (which disappears within minutes). 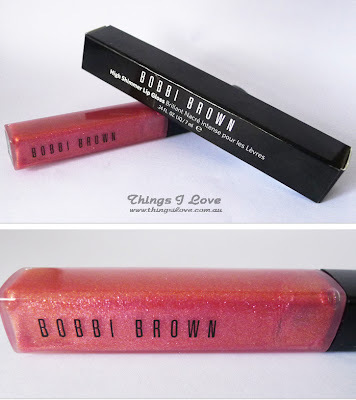 The gloss itself is quite sheer and gives a light pink overlay of colour to my medium pigmented lips. But it's the shimmer that makes this gloss magical. The universally flattering pink micro-shimmer and golden pearlescent sheen catches light at different angles to make your pout glistens and shine with brilliance. Honestly the photos below does not do this gloss justice as you only get a one-dimensional view and don't see the shimmering effects. I don't think I've ever loved a lip gloss so much as I have with this shade and formula. Seriously, it's making me want to burn an even bigger hole in my wallet and pick up half the high shimmer lip gloss collection! 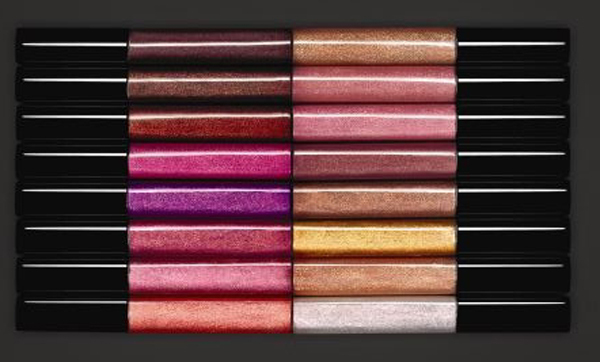 What are your favourite glosses? Available in 16 shades. RRP A$42 at Bobbi Brown counters or Bobbi Brown Aus online. The lucky people in the US get to bag this for a relative bargain of US$23. Top hair-care and styling brand KMS California decided to celebrate its 30th anniversary with a makeover! Not only have the packaging been updated to bright bold block colours on its existing product lines, but it has also introduced 12 new products and brought out the latest hair technology called technology nature by fusing natural ingredients in advance formulas. 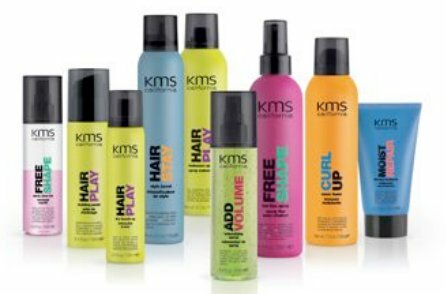 This now brings KMS products lines to a whopping 52 products across 9 ranges in the growing collection to cater for any individual style and hair condition. The most exciting news of this newest additions for me was the Freeshape range - this heat activated styling and protectant line is something I need daily as I subject my hand to the constant abuse of blow drying, curling, colouring and chemical straightening. So it was a good thing I was lucky enough to try first hand some of these items in the latest range and let me tell you, my hair would be humming happy tunes all day long if it could sing! I have very thick hair - I get it thinned out every time I get a cut but there is still alot hair left on my head. So when this stuff promised to cut drying time by half, I wanted to be all over it. And guess what? It really does work! My blow dry time is reduced by 40-50% depending on the humidity of the day, a saviour on cold nights when I dread washing my hair. This 2-phase product needs to be shaken to mix the solution before being sprayed onto damped towel dried hair and not only will it speed up the drying time, it will also provides anti-static properties to reduce friction between hair and gives it extra conditioning properties to leave hair more manageable and fly-aways tamed without any added weight. I wouldn't ever go near a curling tong/ wand or straightening tong without this product on hand any more. This must-have light-weight creme gives hair a layer of production, especially ends which normally gets fried during extreme heat styling sessions. Smoothed over from the mid lengths down to the end of damp or dry hair before using your heat tools for lustrous protected strands. Results are non-product overloaded glossy hair with plenty of natural movement. If you are after some hold in your heat protectant to give your style some shape, then you can't go past this heat protectant. Natural curls are easy-peasy to achieve with the help of this spray. Just sprtiz on the section of dried hair you are working on for shine, medium hold and protection. The end results are beautiful bouncy curls that still moves naturally as it's not weighed down by heavy products which also means your shape holds for longer - score! I'm gaga over these three heat-protecting styling products; they will be staples on my hair care regime and I can't wait to try the other FreeShape products in the lineup. If you haven't fallen in love with KMS California yet, I guarantee you will when you try the latest FreeShape range. KMS California is kickstarting its latest product relaunch with a competition called The Real project to celebrate self-expression and individuality - the core philosophy of the brand. Just submit a 15 second video of who you are and what makes you unique and you could be in the running to win awesome KMS prizes and become a TV stars. The 15 most popular videos as voted by social media will be used in KMS' next tv campaign. And if you need any further encouragement, the first 100 entrants will receive a KMS California Gift Packs worth over $100, plus there are 20 Sony Bloggiecamerasto be WON! Get involved in this great competition now before it closes on 10th November! Products featured have been provided for consideration. Want some freshly home-made natural skincare but don’t want to get into the whole messy DIY scene? How you ask? Easy – you outsource the job to someone else! Now you can have the best of natural ingredients made up especially for you every time you place an order. 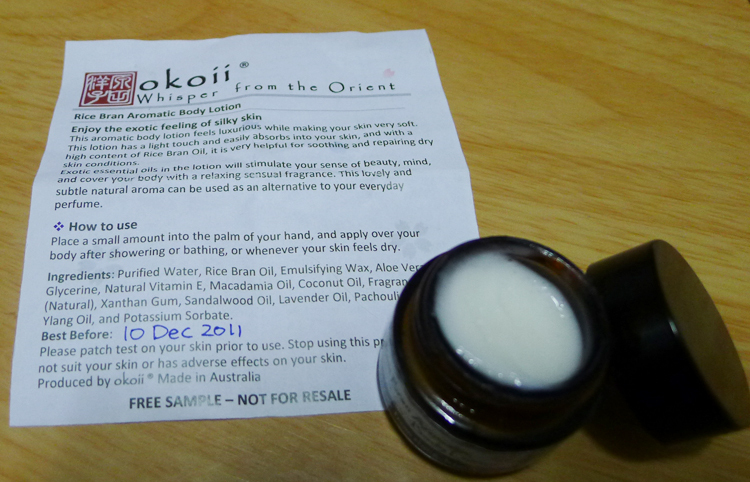 Pioneered by the concept that nature provides the finest skincare ingredients possible and we only have to harvest it, niche online skincare company Okoii brings the idea to life with its line of luxury handmade natural skincare products. Since moving to Australia from Japan, Founder Yoko has always wanted to bring the benefits that these ingredients have been providing women of the orient centuries of skincare benefits to the wider community. 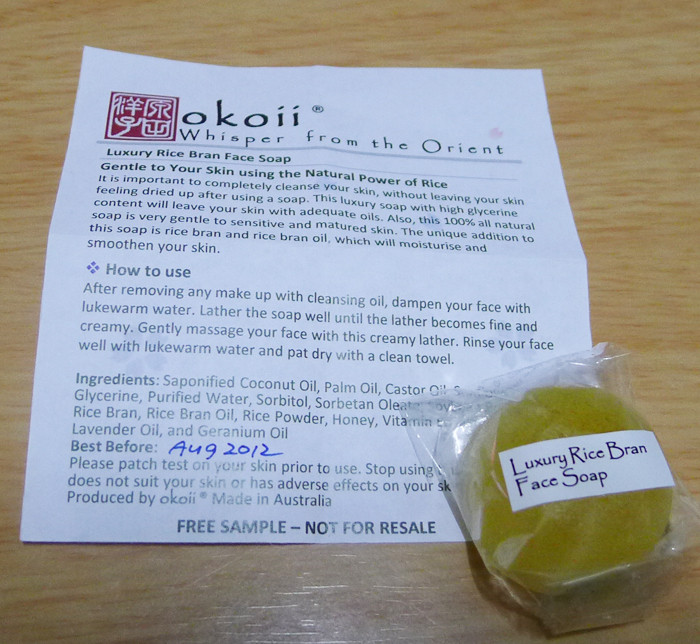 This dream is realised with the creation of Okoii and by using the finest quality traditional ingredients found in many Japanese and East-Asian skincare products including green tea, rice bran, azuki bean, the selected products are designed to give the full potentials of these nutrient rich ingredients to look after skin naturally. Each product only comes to life after you place your order – Yoko hand makes each product to exacting traditional Japanese recipes to ensure you get the freshest and finest natural products possible. Nothing is mass produced here. Each batch uniquely for you. 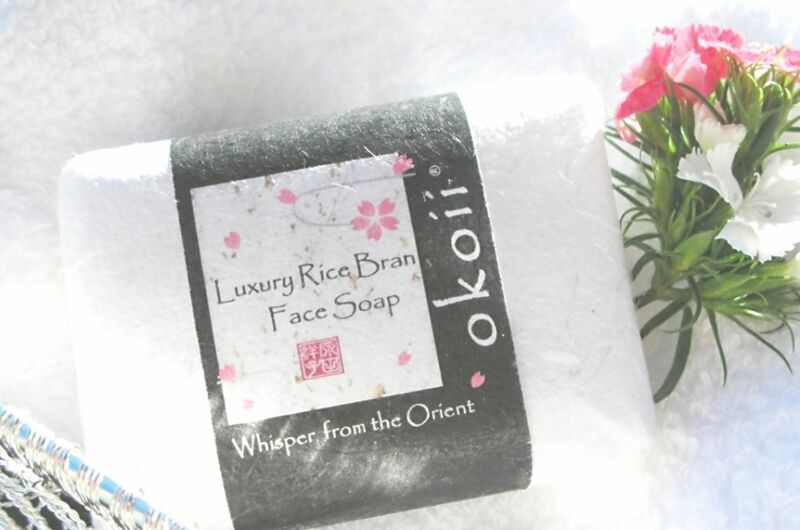 Okoii’s range include facial scrub, toners, masques, moisturisers and beauty oil and there is a body soap and body moisturiser to complement the facial products. There's even a product for our friendly four-legged friend. 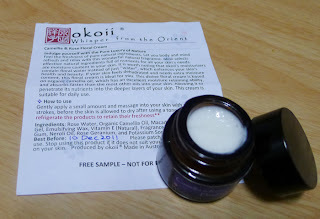 Intrigued about this make-to-order concept in skincare, I was thrilled when offered an opportunity to try some of Okoii’s handmade skincare products a while back. When asked which products I was interested in, I selected the rice bran whitening masque and camellia rose floral facial cream but was overwhelmed by Okoii’s generousity as she also included sample sizes of her other popular products the rice bran body lotion, seaweed revitalizing masque and rice bran soap. Each item comes with a product sheet to give more information about its ingredients and benefits to skin. There is also a unique best before date to indicate the best before period for each product to get the most effectiveness from the natural ingredients. This feel just like a homemade masque with a gritty texture from the rice bran. There is a slight scent of sake and an overall distinctive aromatherapy fragrance from the essential oils such as the and rosewood oil which helps to sooth and increase blood circulation when in contact with skin. After applying for 15 minutes, the gritty texture help the product to stay on skin and also give an exfoliating effect during the rinse off phase. Afterwards, I do feel a film of residue left behind by the masque that keeps skin moisturised (not an issue for me personally) but it may be too sticky for those who prefer the squeaky clean feel. As for results, skin tone is more even and there is definitely a temporary brightening effect for the rest of the evening (which is when I usually apply my masks). Perhaps long term use will yield a more lasting effects. This clay-based masque with sea kelp powder (which has this sea smell that I’m not quite a fan of), I find it great at drawing out excess oil and impurities from my face. The sea kelp and ginseng mix also helps to restore vitality back to skin. 15 minutes later my skin is soft, smooth and silky to touch without feeling too dry. If I could get over the scent I’d use this every week. You would not believe this was handmade with this light luxurious cream is as silky in texture as high end products. 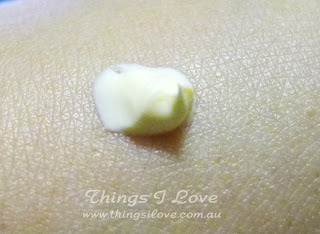 There is a light distinct green fresh scent to this rich cream that needs some extra time to properly absorb into skin. But the extra effort is handsomely paid off with nourished skin that stays hydrated all the time. Skin is soft supple and dry lines around the eye area a thing of the past. I would highly recommend this cream for dry and hydrated cream and use this on evenings or winters as it may be too rich for the Australian summer or day use. 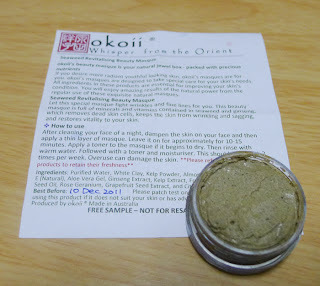 This is another favourite product I’ve tried from Okoii. It smells divine with sandalwood, ylang ylang, lavender and patchouli oil and the rice bran coconut, macadamia oil and aloe vera gel nourishes skin without any sticky or greasy feeling at all. Scaly skin was no longer an issue after using this lotion for 3 days and love it as a hand cream to hydrate and protect my dry hands. 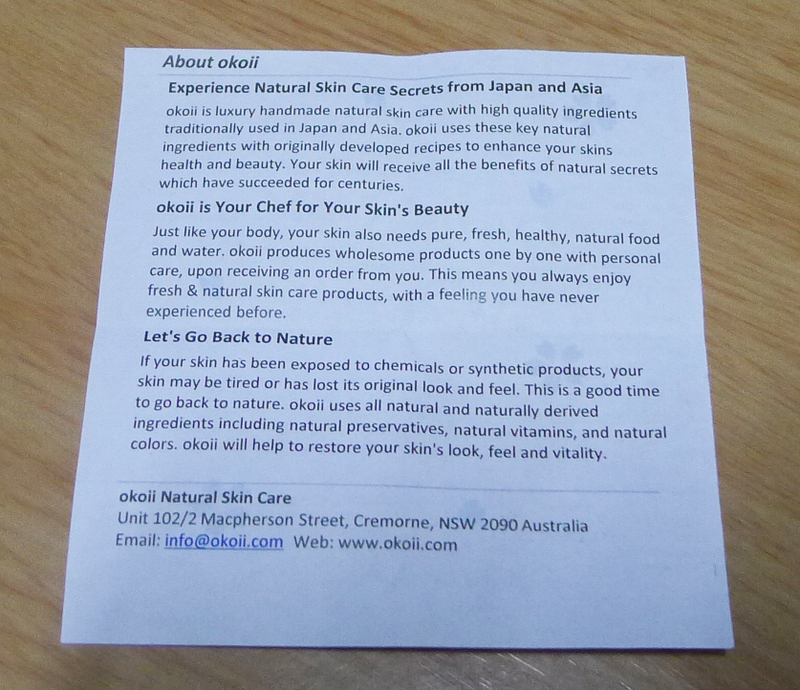 As Okoii products contains only natural preservatives with no fragrance, animal fats, synthetic or chemical ingredients, they are best kept fresh as you would your vegetables, in the fridge. 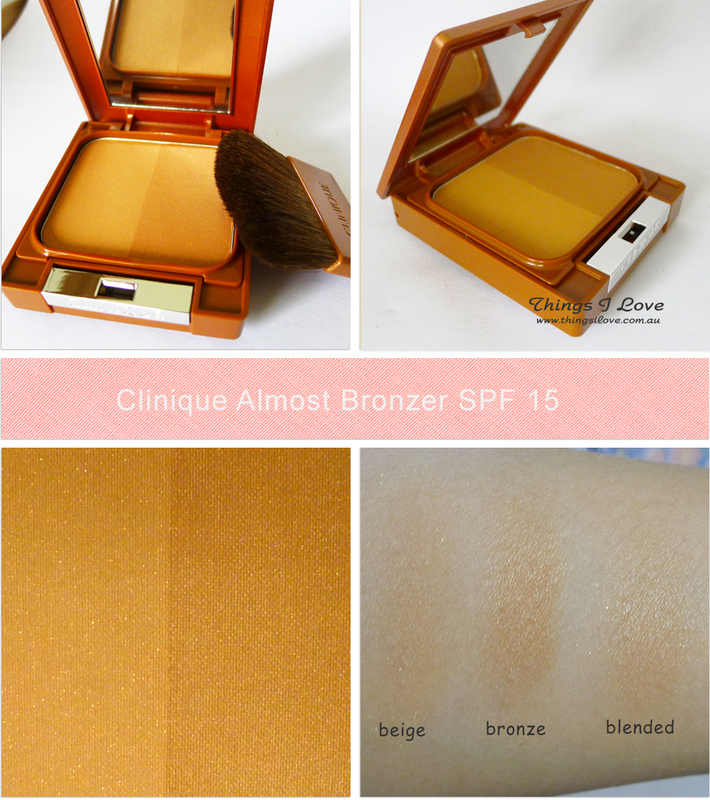 Even then, the products will oxidise over time. I did notice the colour of the products darkening over the month I've had the products for, particularly the face masques. Rest assured though, as long as we keep within the best before period (3 -6 months from production date for the masques depending on product), the effectiveness of the product is not compromised. If you are after ingredients listings, head over to their product pages where full listings are available and star ingredients are explained in more detailed. 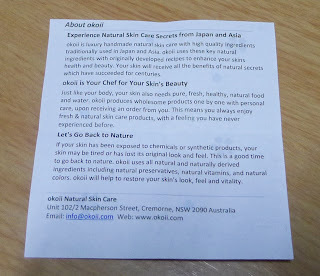 I love the idea that the skincare is all natural and freshly made to order for me. I also love the principles of Okoii to source the best ingredients that are used for centuries to enhance the nurture and care for skin naturally. Now if I wasn’t a DIY fanatic, but want fresh natural derived ingredients in your skincare and body products, this would definitely be the path I’d be take and would recommend you trying their facial, body moisturiser and facial soap to experience their products for yourself! Be sure to check out their health and beauty tips too as beauty starts from within! 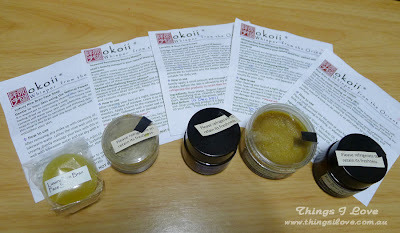 Do you make your own skincare and masques? Which are your favourite recipes? Would you outsource this job to Okoii? Samples of products were provided to consideration.